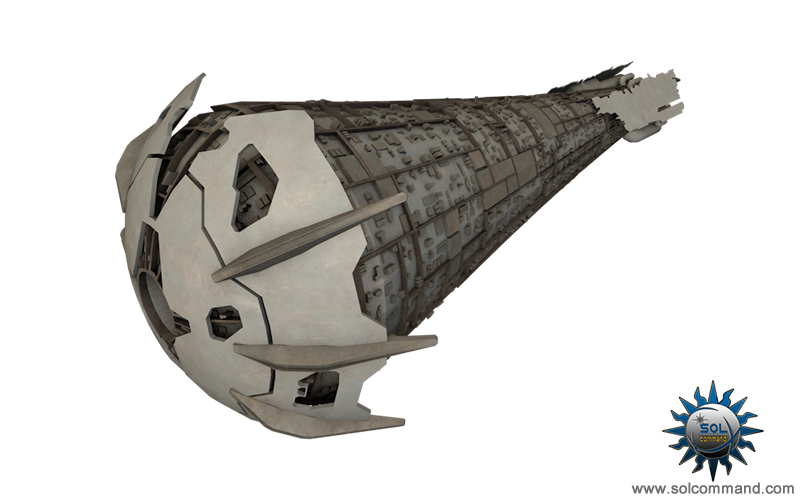 Inspired by the "Avatar" amarr titan from Eve Online. 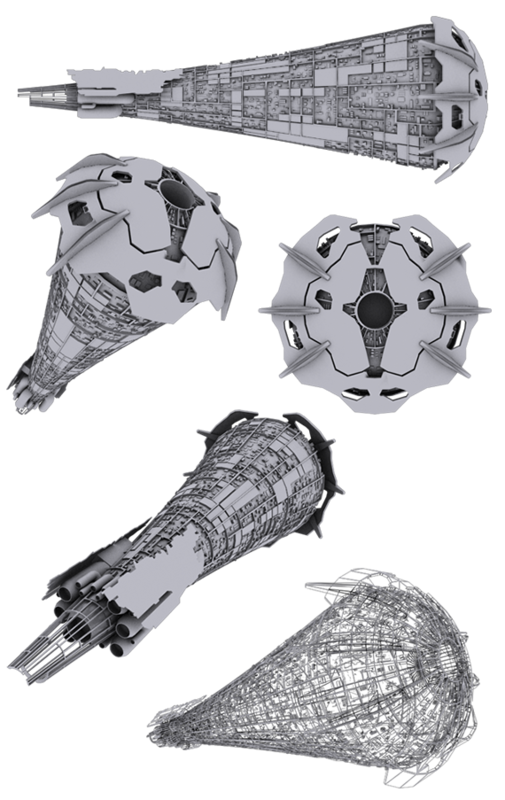 Update: now the titan comes with a very basic texture. Cool, an alien ice cone! Very unique and outstanding design IMHO! Looks like a giant alien generation ship. Thank you so much for sharing this! It looks very intricate and awesome! But I wonder can it be rendered smoothly in a game engine? What are the specifications? 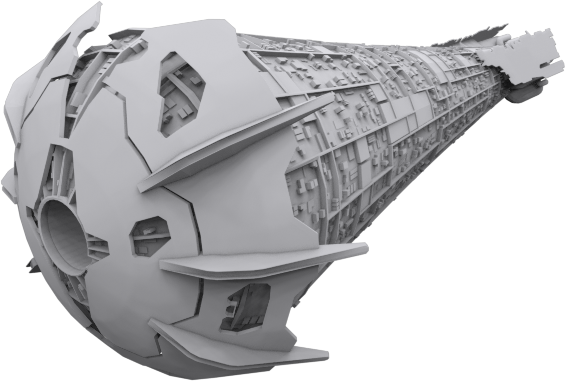 It has 70k polys in its current state or 24k if you remove the hull greeble layer. However I see no reason why it wouldn't work ingame, afterall I have another ship that's like 75k polys and it was used in games 12 years old or more, without a big loss in frame rate. Well, so I must test it out on my poor computer after it is done and textured! Looks amazing, I will put it as a random event, a killer machine with hundreds of missiles and lasers coming out of it. Be afraid! Honestly the engine configuration in the back doesn't make much sense. The main drive is obviously the ramjet, so the ancillary reaction drives should be placed perpendicular to the main axis of thrust.